Kent House in Okehampton celebrated the Royal Wedding in style! 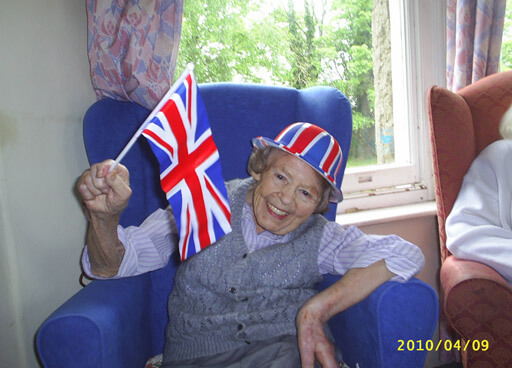 The home was adorned in Union Jack bunting, and flags were flown by everyone, including resident Beatrice Smith, seen here having a wonderful time! Residents donned their favourite hats, sipped pimms and enjoyed cucumber and salmon sandwiches and Cream Teas. Following the wedding, the party got into full swing with a prize draw and competition for the best hat, won by May, who was presented with a Royal Wedding mug – what else! It really was a day to remember.